Explaining things in clear and simple language. The Apostrophe - when to use it, and when not to! An apostrophe is a small ' mark which frequently indicates where one or more letters have been left out of a written word. (The word "apostrophe" is derived from Ancient Greek words meaning roughly "the stroke of turning-away"). In written English, the apostrophe is used most commonly in two situations - missing letters, and possession. These will cover nearly all cases, and will help if you are unsure where or whether to use an apostrophe. Long division seems to strike fear into people's hearts, and when there is normally a calculator to hand it may be that you don't often need to know how to do it. But from time to time - perhaps when you want to work out how to divide a bill evenly between 17 people, using a pen and paper - long division is the key. The Internet is everywhere nowadays. It seems that virtually every electronic device is connected to the net in some way, and it's easy to just accept without questioning that clicking on a link brings up a new page of information - but if you want to understand a bit about how that actually happens, then this article will give you some insight into how the Internet really works. 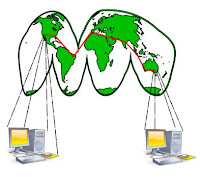 The Internet is a system connecting together a vast number of computers and other electronic devices, in such a way that messages can be sent between any two connected devices. How those messages are passed from one location to another varies - perhaps using radio waves in a home wi-fi connection, or copper cables, or glass fibres, or microwaves, or cellphone signals - the Internet does not force any particular type of link. As long as there is some way to get a message from one computer to another then the Internet will work with it. The theory of evolution says that if some members of a group of organisms - plants or animals - are by chance better equipped to cope with a particular hardship, and then go on to reproduce; then their offspring will on average also be better at surviving that hardship, and the following generations even more so. The population as a whole becomes better and better adapted to thrive in a given situation or niche. Nearby populations may find themselves facing different pressures, and will adapt in a different direction, eventually leading to the formation of two or more species where once there was one. 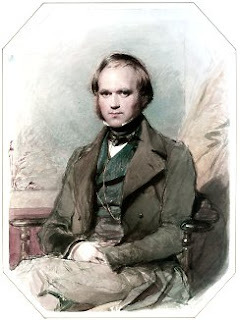 Darwin had been employed in the 1830's as a geologist and naturalist on board the HMS Beagle, on a five-year expedition from Plymouth, England across the Atlantic, around South America, across the Pacific to Australasia, around the southern tip of Africa, and back to England.